Historically, ancient Egyptians used pumice stone and power to abrade their skin to improve skin tone – an approach that is similar to dermabrasion. Today, microdermabrasion’s are one of the most popular cosmetic treatments currently performed. The American Academy of Cosmetic Surgery estimates that microdermabrasion is the second most widely utilized cosmetic procedure after injection of botulinum toxin or BOTOX. Microdermabrasion’s surpass almost all other forms of nonsurgical cosmetic procedures including chemical peels, injectable fillers, and botulinum toxin injections. In the procedures, microcrystal’s are deposited on the skin via short, rapid strokes of the hand piece. A tube contained within the hand piece of the machine simultaneously aspirates the crystals and skin debris. The vacuum pressure and the resulting particle flow rate determine the volume of particles that impact the skin and cause the abrasion. Skin depth to which the particles are producing the abrasion affect is also an important determinant for the outcome of the result. This is also dependent on strength of the flow of crystals, speed of movement of the hand piece and the number of passes per anatomic site. Slow movement of the hand piece and a higher number of passes increases the depth of microdermabrasion. With the use of dual motors it is possible to provide a range of treatment levels to accommodate different skin types and skin conditions. The procedure reduces the effect of ageing naturally with a deep cleanse that helps reduce open pores, spots and blemishes. It can also blend stretch marks and soften uneven skin appearance. More even, glowing and smoother skin tones with less acne. Side effects are rare and generally temporary. The specific risks and the suitability of these procedures for a given individual can be determined only at the time of consultation. All procedures have some degree of risk. Minor complications that do not affect the outcome occur occasionally. There is no down time and individuals return to regular activities the same day. 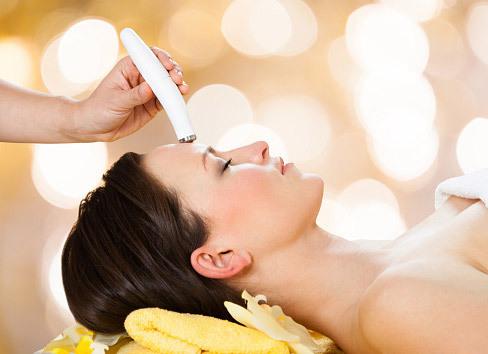 $99 for single full face treatment – SAVE – Buy 5 get the 6th treatment for FREE!